Writing and thinking about these “really, really bad” books has got me thinking about if, why, and when we should read books, even bad ones. When I think of the purpose of reading books, I generally think of education or recreation. You get an education from reading non-fiction and the very best novels; novels that make you think. Then there is recreation, which is different to amusement: the former means to re-create and the latter means no mind. Recreation is building up and edifying at the same time as well as resting and relaxing, but amusement is brainless; “all the discernment of a vaccuum-cleaner” as Douglas Wilson put it once. This week has been a sort of harrowing of literary hells. We have just one more hell to turn out—the deepest, the blackest, of all; this is the worst book I have ever read in a lifetime of reading indiscriminately, and once more, I can offer no excuses for hashing through all 800 pages of it. And once more, I'm putting this review behind a cut, with awful warnings not to venture on--mature themes and lots of indignation from me lie ahead. There is a continuity in the history of fiction, and in the last week we have had a look at one small section of it. First came the romantic fiction of Ethel M Dell, which enthroned passion and emotions above nearly everything else; and then came EM Hull with The Sheik, in which she suggested that no indignity was too much in the service of passion; and then came Kathleen Winsor with Forever Amber and the idea that no evil was too much in the service of passion. I should have known. I should have checked Wikipedia. I should have stopped reading after the first ten pages, or fifty. At least this book was not at all subtle—I knew immediately how bad it was, and why. On Tuesday we had a look at the second-worst book I have ever read—the seminal romance novel The Sheik. Today is devoted to the works of Ethel M Dell, a romance novelist from about the same time. One of the side-effects of trying to find new and enjoyable authors is that you often find instead authors who are just awful. I'm not sure I would be harsh enough to classify Ethel M Dell as “just awful”--perhaps a notch above that—after all, she was never guilty of something like The Sheik, although I hold her and her ilk entirely responsible for turning the heads of a generation and providing the atmosphere in which The Sheik could take hold. I still remember how I came across Ethel M Dell's name. I had been seized by the impulse to get on Wikipedia and look up the name of Rosie M Banks. Those of you who have read PG Wodehouse know who I am talking about, of course. She's the fictional romantic novelist who later becomes Mrs Bingo Little, famous for such works as All for Love; A Red, Red Summer Rose; Madcap Myrtle; Only a Factory Girl; The Courtship of Lord Strathmorlick; Mervyn Keene, Clubman; 'Twas Once in May; By Honour Bound; and A Kiss at Twilight. Suggested real-life models for this character include prolific early twentieth-century female romance novelists such as Ethel M. Dell and Ruby M. Ayres. “For an instant Lester Gage thought that he must have been mistaken. Then the noise came again, faint but unmistakable. His mouth set in a grim line. Silently, like a panther, he made one quick step to the desk, noiselessly opened a drawer, drew out his automatic. After that affair of the poisoned needle, he was taking no chances. Still in dead silence, he tiptoed to the door; then, flinging it suddenly open, he stood there, his weapon poised. James stared at the paper dumbly. The studio was one of thos dim, over-ornamented rooms which appeal to men like Rodney Spelvin. Heavy curtains hung in front of the windows. One corner was cut off by a high-backed Chesterfield. At the far end was an alcove, curtained like the windows. Once Jane had admired this studio, but now it made her shiver. It seemed to her one of those nests in which, as the sub-title of Tried in the Furnace had said, only eggs of evil are hatched. She paced the thick carpet restlessly, and suddenly there came to her the sound of footsteps on the stairs. Jane stopped, every muscle tense. The moment had arrived. She faced the door, tight-lipped. It comforted her a little in this crisis to reflect that Rodney was not one of those massive Ethel M. Dell libertines who might make things unpleasant for an intruder. He was only a welter-weight egg of evil; and, if he tried to start anything, a girl of her physique would have little or no difficulty in knocking the stuffing out of him. So to cut a short story long, that is how I found myself on Project Gutenberg goggling at such glutinous and sensational works as Rosa Mundi and Other Stories and The Way of an Eagle. Gregor Samsa wakes up one morning as a cockroach. How did this happen? We are never told. He lies in bed worrying about this for a while, then his family finds out. Months pass, and the huge cockroach that was once Gregor Samsa pines away and dies. His family is vaguely relieved. The end. There! I just saved you from having to read the whole book! OK, so maybe the story is a depressing, yet deep, meditation upon the futility of the middle-class working man's life. That may be so. But there's one thing I can't get away from: one thing that sits like a monolith in front of my appreciating this book in any form whatsoever. Franz Kafka is the culprit. Franz Kafka invented a perfectly nice, likeable young man for the sole purpose and pleasure of turning him into a cockroach and tormenting him to death. For what? To show us what a miserable life he had? To vaguely depress us with the futility of it all? But Gregor Samsa's life wouldn't have been anywhere near as bad if he'd been allowed to remain human. Kafka turned him into a cockroach, and he can jolly well turn him back! There is the chivalrous lesson of "Jack the Giant Killer"; that giants should be killed because they are gigantic. It is a manly mutiny against pride as such. For the rebel is older than all the kingdoms, and the Jacobin has more tradition than the Jacobite. There is the lesson of "Cinderella," which is the same as that of the Magnificat—exaltavit humiles. There is the great lesson of "Beauty and the Beast"; that a thing must be loved before it is loveable. There is the terrible allegory of the "Sleeping Beauty," which tells how the human creature was blessed with all birthday gifts, yet cursed with death; and how death also may perhaps be softened to a sleep. What's the point of the Metamorphosis, except to tell us the damnable lie that there is no point? All this trouble could have been averted. One day I may write The Anti-Metamorphosis, about a nice young man who wakes up one morning, worries about going to work, then gets up and goes anyway. The last paragraph would read something like this, "Gregor Samsa never knew the dreadful fate he had escaped. On that very morning the author who originally thought of him had decided to turn him, for no discernible reason, into a giant insect, for the simple pleasure of watching him slowly die. Fortunately, Franz Kafka's coffee was particularly nice that morning, and his paper arrived on time, and the maid hadn't woken him by being noisy as she swept the hall outside, so 'The Metamorphosis' was never written and Gregor Samsa was able to get on with a life that, although not ideal, was surely a lot better than that of a bug." For our second Really, Really Bad Vintage Novel, we step back from the dull and pretentious into the melodramatic and horrifying. This book is unsuitable for persons. I am putting the review under a cut because it necessarily involves discussion of the said book. So be warned! Only mature persons should venture on. And naturally, since a warning like this is probably the quickest way to seeing this post shoot right to the top of the rankings, don't think that because your mum isn't in the room, nobody'll know if you read this post. I'll know. Remember, I can see visitor stats. The Sheik is a romance novel. It is also one of the very worst books I have ever read. It is just bad, and the world would be a better place if it was entirely expunged from history. And I have no excuses for having stuck with it to the bitter end. I read this once a few years ago, and it immediately shot to the top of my Worst Books Ever List. It has been pushed down a few notches since then—by Isabel Allende's Zorro: ~*A Novel*~, Not One Of Those Awful Swashbuckling-Type Books That People Love Reading Because They Are Exciting And Refreshing With Likeable And Virtuous Characters, Which Are All Very Well For The Plebs, But Hardly Deserve To Be Called, Like This One, ~*A Novel*~; by Christa Wolf's Cassandra, and most of all by the awful Forever Amber by Kathleen Winsor, a review of which will appear in due course. The Getting of Wisdom is a very long, tiresome book about some very long, tiresome people. It was written by an Australian, and despite appearances to the contrary, by a woman named Ethel Richardson. Because of these two things, it is usually inflicted upon hapless schoolchildren. I never went to school. I escaped many of the indignities inflicted upon the inmates of those institutions. No, The Getting of Wisdom was entirely self-inflicted. It starts promisingly enough, with our heroine (ahem...our “heroine”) telling a story to her younger siblings. There is a knight and a lady, and it's the most interesting paragraph in the whole book. But then one of the siblings interrupts, and in a fit of the sulks the storyteller refuses to speak another word. This is what the book is like all the way through: everything nice or even halfway interesting is nipped in the bud by selfishness or pride. But let me continue. The storyteller is a young girl named Laura, who is soon sent away to boarding school in Melbourne. The transition to school life is traumatic to Laura: the girls are nasty and look down their noses at her, the teachers aren't much better, and soon Laura learns to be ashamed of her humble origins. Yearning to fit in, she learns to behave as badly as the girls who mock and belittle her. Before long, she has become entirely a creature of the school and things go from bad to worse when she tries to gain status among the other students by inventing a romance between herself and a local curate. This is really a story about corruption, though in a distinctly schoolgirlish manner, where the evil manifests as petty jealousy and lies. It may even be that the book, though written in such a terribly depressing manner, is worth reading. It probably does tell the truth about schools and the horridness of school life, and it's possible that CS Lewis, for example, would have liked it for that reason. But you, dear reader, if you weren't sent to school, can have no reason to wish to undergo this literary equivalent of a cold cup of tea. First things first: Happy Easter, everyone! Two thousand but a few years ago, around this time, Our Lord finally and forever confounded death, sin, and the devil. He is risen! And now from the sublime to the ridiculous. I may have been pretty busy for the last three weeks, resulting in a lack of regular posting, but I'm going to make up for it now. 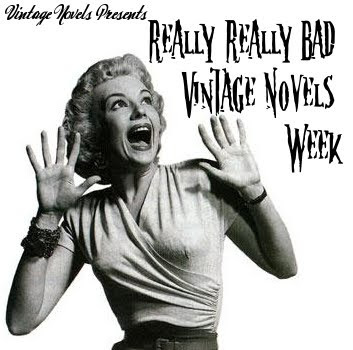 It's time for the April 2011 Vintage Novels Feature Week! This was not the particular Feature Week I planned to run right now, but I know it's going to be a lot of fun. We all love vintage novels, but as the man said, 90% of everything is rubbish. Vintage novels are, sadly, not much different. In fact after this week I'm really hoping you still all want to speak to me, because some of the books I have read all the way through are terrible! What kind of person would stick to her guns all the way through, for example, Forever Amber? The question still puzzles me. Posting starts tomorrow! Turn up your coat collars and pull your hats down over your ears--it's going to be a whole deluge of horrible. It has a colourful cover, thick black lines like primitive stained-glass windows and bright colours so that you know that the knight on the left wears a red cloak and the lady on the right has blonde hair and blue robes. On the back the picture is of a heaped-up castle town covered in turrets, with little stairs leading up towards the top of it where you can just see into a vaulted hall housing a great round table; and two knights are riding out of the castle. Inside there are more pictures, shoehorned in among small black type. 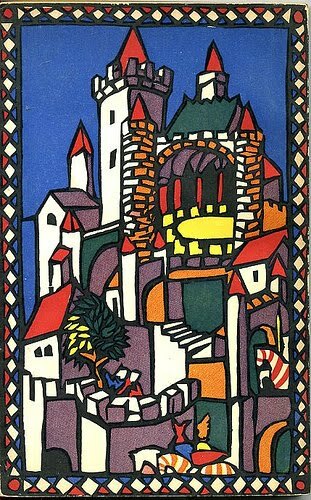 Pictures of knights, ladies, castles, and hermits, all in those raw thick lines. Many of the pages are loose, and some of the pictures have been coloured in with a careful hand, including the frontispiece showing the King and Queen. My aunt's name is written on the inside cover, but I was the one who coloured in the pictures. My earliest memory of this ancient companion of mine is of dipping into the eerie story of Sir Lancelot's First Quest, and the terrible Chapel Perilous. I don't even remember when I first read it cover to cover, but it must have been early and often. Roger Lancelyn Green was a pupil of CS Lewis and JRR Tolkien, a late Inkling, and a great scholar and storyteller in his own right. His focus lay in retelling old stories for a young audience, surely not an original aim but accomplished with rare skill. His Robin Hood is perhaps the second most well-known, eclipsed only by Howard Pyle's version, and his Tales from Ancient Egypt and A Book of Dragons are favourites in our family. But if he had a masterpiece, I suspect it might be King Arthur and His Knights of the Round Table. This particular King Arthur reads something like a Greatest Hits. It is mostly a condensation (and a tidying-up) of Mallory's Le Morte D'Arthur, but it also contains stories (and twists on stories) from the Welsh Mabinogion, the two Middle English poems Sir Gawain and the Green Knight and The Marriage of Sir Gawain, Chretien de Toyes's Erec et Enide, and even a plot point or two from the German Parzival. This King Arthur pulls all the best, all the most well-loved stories together into one coherent whole. As far as I am concerned, it is the definitive King Arthur, even above Le Morte D'Arthur or The Idylls of the King by Tennyson. 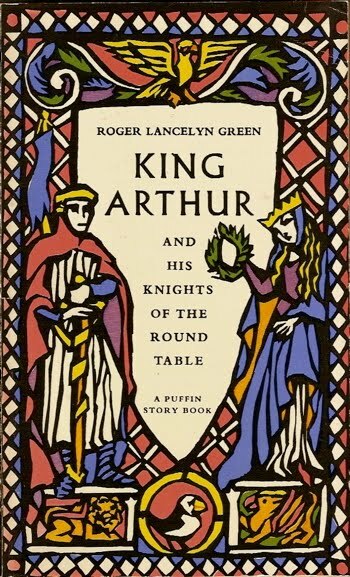 While I have read and enjoyed many, many other King Arthur collections (my second-favourite may be The Mabinogion), when I think of King Arthur at all I think of this one. Green's prose is excellent. His archaisms are both convincing and easy to read. 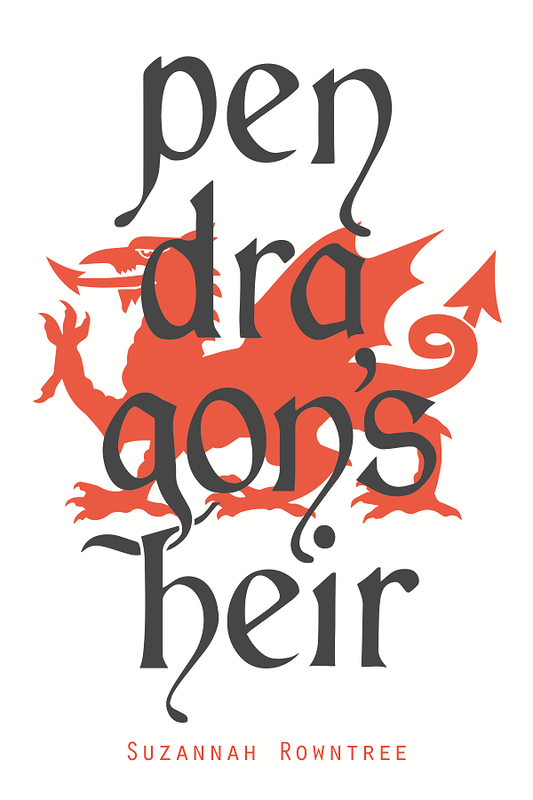 He tells all the stories--some sad, some joyful, and all thrilling--with consummate skill, weaving them all together into one exciting, romantic, tragic tapestry using Le Morte D'Arthur as a base with a strong Tennyson influence. Book One is The Coming of Arthur, all about Uther Pendragon and Igraine, Merlin, the sword in the stone, and the giving of Excalibur. We meet Balyn and Balan, the ill-fated brothers who deal the Dolorous Stroke and hear about the First Quest of the Table. Book Two, The Knights of the Round Table, deals with the golden age of Logres. It is here that Sir Gawain escapes with his life from the Green Knight and marries his loathly lady. Here Sir Lancelot comes to Camelot and undergoes his first quests; Sir Gareth, the Knight of the Kitchen undergoes the test of the multicoloured knights; Sir Tristram tells his sad story; Geraint and Enid find that the path of true love doesn't always run smooth; and we meet the callow yet formidable Sir Percivale. Book Three, The Quest of the Holy Grail, is full of adventure and mystery. Book Four, The Departing of Arthur, narrates the terrible tale of the fall of Logres almost in Mallory's own words. The whole forms an unforgettable epic. Thou were the meekest man that ever ate in hall among ladies; and thou were the sternest knight to thy mortal foe that ever put spear in the rest. The important thing about this ideal is, of course, the double demand it makes on human nature. The knight is a man of blood and iron, a man familiar with the sight of smashed faces and the ragged stumps of lopped-off limbs; he is also a demure, almost a maidenlike, guest in hall, a gentle, modest, unobtrusive man. He is not a compromise or happy mean between ferocity and meekness; he is fierce to the nth and meek to the nth. When Launcelot heard himself pronounced the best knight in the world, ‘he wept as he had been a child that had been beaten. What world of riddles, indeed, but the world redeemed by Christ? In this world we are commanded to lose our lives to gain them; in this world the Prince of Peace brought a dividing sword. Seeking obedience to the High King of Heaven, earthly warriors found meekness, gentleness, and kindness commanded of them in terms that would take no denial. Seeking obedience to the Lover of Souls, timid men found valour and fortitude exacted in the face of such horrifying trials as would turn the bones of the bravest to water. No middle way is possible; no happy balance may be struck. You cannot be a little bit soft and a little bit brave; somewhere in the middle. You must be at once as brave as a lion and as meek as a lamb. And it is a terrible truth that you cannot love a thing without being willing to fight for it. This King Arthur was written by a man who had read and understood all the things I've just quoted above. I have had reason to think deeply about this particular book in the last few years, and I am continually impressed by the wealth of goodness within it. Logres, CS Lewis hints in That Hideous Strength, is the Kingdom of God in Britain; a little like the City On A Hill which was the United States, or Romania which was Byzantium, or the glorious kingdom of Charlemagne which was France, or the Southland of the Holy Spirit which was Australia. By these things I mean that many countries on earth have a legend or an ideal, in which their civil government walked closely in the will of God. In England we find the most ancient and wonderful version of that myth: we read how it was set up, a light against the pagan invasions; we read how it flourished and grew, how it underwent a great quest in search of greater divine blessing; and how, in the end, it was thwarted (but only for a time!) by human sin. And one day Logres will rise again. In Roger Lancelyn Green's King Arthur we have a picture, a potent and wonderful picture, of a kingdom and a brotherhood working, to their best knowledge, to build the Kingdom of God on earth; thwarted, but not for long. A better snapshot of medieval Christendom could hardly be found. 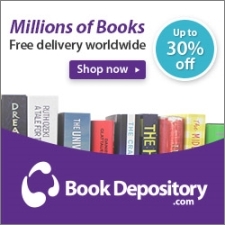 I'm always on the lookout for new authors--I think I must be afraid I've already exhausted the world's supply of books--and so when I saw the Helen MacInnes book Above Suspicion recommended by someone trustworthy, it was with me but the work of a moment to dash off to the library for it. This was MacInnes's first book, published in 1941, and it's a quick read, still a little raw in places. In tone it is similar to, but not as well-written as, the works of Mary Stewart--although MacInnes's earnestness is far preferable to what in Mary Stewart's works approaches shallow facility. Above Suspicion is set in the months before World War II. Richard Myles, an Oxford don, and his wife Frances are asked to carry out a secret mission during their yearly trip mountain-climbing in the Tyrol. Posing as harmless tourists, they work their way through southern Germany in search of an English agent at the head of a spy network who has recently begun sending misleading information. The plot then proceeds on the usual terms: at first the job seems easily handled, and although the Nazis consider the Myleses highly suspicious they haven't anything definite. Then suddenly everything goes south, and there is a tense passage culminating in fire and flight by midnight. There's nothing much out of the ordinary in this book--it's just an enjoyable WWII spy story. There are some interesting quirks to this writer, however. Helen MacInnes isn't the greatest stylist the world has ever seen, but she has and often uses the knack all good writers have of conjuring up a detailed scene or a complex mood in just a few words. In addition there's a certain emotional drive to the book: a sense that the author is still very indignant about the war. The characters often pause to speak passionately and even a bitterly about the Nazi hubris that's driving so many people to destruction and this otherwise lighthearted spy story is overshadowed by a cloud of desperation and despair that grows ever heavier until the end. Frances wondered why Richard was so confident that there were only two men to worry about...But his eyes were fixed on the road. She sat beside him and waited in silence. She felt she had made enough wifely objections to last for the next few hours. After all, she had insisted on coming. Richard had been against it. Wifely objections would only be doubly irritating. Now there's something you rarely ever come across--a book by a woman, mostly about a woman, who decides to hold her tongue. That alone makes me glad I read Above Suspicion. 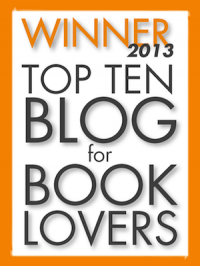 I was recently directed to a blog post on Romance in Literature over at Ballantyne the Brave, which (if you enjoy this site) you should certainly visit. I agree with everything said there, except maybe I would add that the reason Mr Darcy has no time for you is not that he has a fan club but that he has been very happily married for some time now to the former Miss Elizabeth Bennet, as clever and charming as whom you will never be. I will leave that post to make the case for having fictional romances at all. I want to take it a bit further, however, and talk about what kind of romances are good to have in literature. Life is getting on top of me somewhat, so here: have a Poem! The sunset never loved me, the wind was never mine. This was quick and easy read...which is why I got through it so briskly. You may know something of Quiller-Couch; he wrote "On The Art of Writing" (and "On The Art of Reading") under his own name. But his historical romances he often published simply as, "Q". The Splendid Spur is set in the early years of the English Civil War. Jack Marvel is a student at Cambridge when he inherits from a murdered friend a mission to the King at Cornwall. On the way he ends up saving the dead man's sister, Delia Killigrew, from the same bloodthirsty ruffians that killed her brother, and then losing her again when both of them are captured by Parliamentary troops. Desperate to fulfill his mission, Jack manages to escape and even sees action at Stamford Heath. But who is trying to wipe out the Killigrew family, and why? As you can tell, the book is written from the Royalist perspective. This necessarily results in a certain shallowness: any closer study of the period would show how terribly the King behaved, how sober and well-trained was the middle-class army of Parliament, and how their only crime was that of being distinctly middle-class. More than once the hero and heroine are captured by Parliamentarians, and I had to consider how fortunate they were. Had they been Puritans in the power of royalists, they might have expected outrageous treatment, as has been well-documented. I wouldn't put it past Quiller-Couch to have written a whole novel illustrating those two lines! As befits a man who wrote on the Art of Writing, Q's prose is clear, elegant, and a pleasure to read; stylistically excellent. But a better writer would have made more of his subject-matter.